On Nov 17, 2017, the "Stena Danica" spilt about 80 liters hydraulic fuel into the water at Fredeerikshavn during a rescue exercice. During a surveillance flight no pollution could be traced. 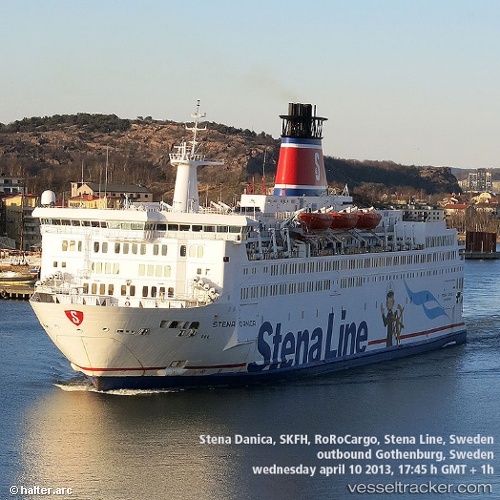 Earlier this month, Stena Line, the City of Gothenburg and Göteborg Energi inaugurated the connection of the district heating network to the Stena Line ship, Stena Danica. This is the first time a ship in regular service has been connected to a district heating network. The innovative connection will result in a reduction in carbon dioxide emissions in Gothenburg of approximately 500 tons per year.